This evening seminar will present the first ever wind turbine installation project when the WTG has been lifted as a single unit and installed onto floating foundation. 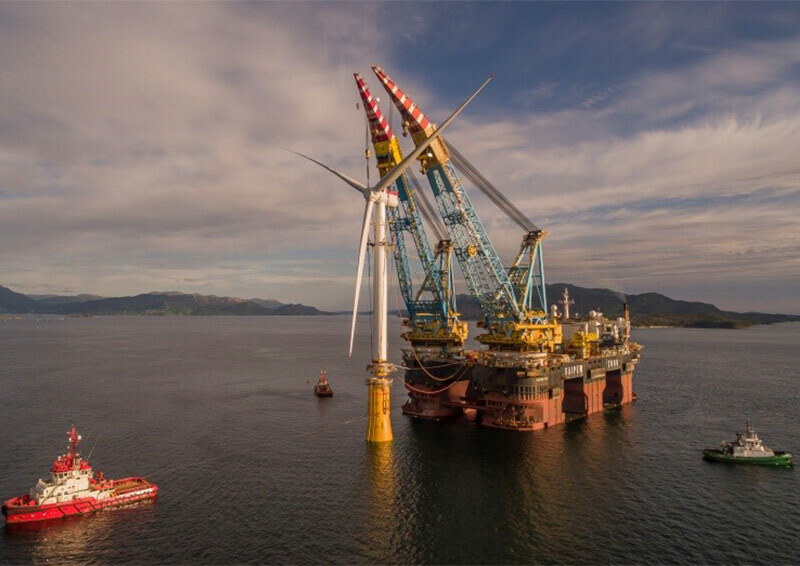 This installation has been performed by Saipem’s crane vessel S7000 for the Hywind project in Summer 2017. In total, 5 WTGs have been successfully installed. This seminar will focus on challenges faced by Saipem during the design and engineering stage. The floating wind turbine installation is very different from traditional offshore heavy-lift projects. It requires a very good knowledge from various engineering disciplines (hydrodynamics, mooring, structures, aerodynamics and etc.) and a comprehensive modelling of all environmental effects (wind, waves and current). This project is a good example when innovation combined with excellent teamwork lead to a successful installation. The presentation will also include the photographs and videos from the operations as well as conclusions on the validation of Saipem’s engineering model. Anton graduated from Newcastle University in 2011 and joined Saipem’s Graduate Training Scheme in the same year. He currently works as Naval Architect at Saipem Limited and in the last 7 years has been involved in a number of heavy-lift projects in the offshore industry in North Sea region. His main area of expertise includes jacket, deck and wind turbine installations and also platform decommissioning.